BOOK REVIEW: Most startups fail, so how will you overcome the odds? 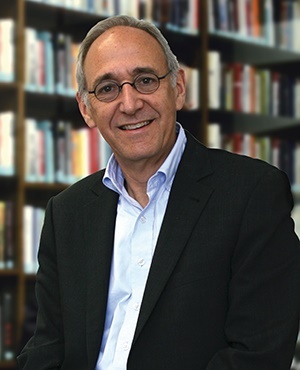 Author Richard D'Aveni is a professor at the Tuck Business School at Dartmouth, the world's oldest graduate school of business. It is his considered opinion that we are witnessing an epochal business shift that happens only once a century: additive manufacturing is (not will be) transforming business. 3D printing is one of the newer "cool" technologies that has entered the popular consciousness. It is largely associated with the design and production of small prototype products, as models to be adapted for "real" manufacturing processes. Originally, 3D printing was merely 2D printing of layers of material, repeated over and over, until a 3D object is built up. However, 3D printing is just part of a broader range of revolutionary methods known collectively as 'additive manufacturing' (AM). It is additive because you add material to make something as opposed to 'subtractive manufacturing' - the traditional method, where you subtract material until you get what you need. AM is now being adapted to a wide range of materials, product types, and purposes. HP, who have already successfully digitised traditional 2D printing, are confident that they will succeed in revolutionising manufacturing in much the same way. Jabil, Inc., the world's third-largest contract manufacturer (Foxconn is the largest,) has 102 production facilities in 28 countries around the world. It makes thousands of machined parts for companies in industries from consumer electronics to aerospace, pharmaceuticals to home appliances. It is now building one of the world's first manufacturing platforms - a system for using digital technology to connect scores of businesses around the world into a smoothly interconnected manufacturing powerhouse. AM is rapidly expanding beyond design prototyping and small runs of customised products and entering the world of mass manufacturing. Lite-On, for example, had been using AM to build antennas for smartphones, and turns out some fifteen million a year! Many engineers with extensive knowledge of traditional production methodologies are still of the opinion that AM is too expensive to replace the old systems. While costs are somewhat higher than traditional manufacturing, they are actually lower once you consider ancillary expenses. A compact, flexible, AM production system can reduce transportation costs by being located close to the customers, and so obviate distribution and warehousing costs. So what is AM being used for right now? Lockheed Martin has developed a new composite material that could be used to produce ultra-light, ultra-strong bodies for its F35 fighter jets using 3D printing. It can print the entire jet body and interior in about three months using a process called BAAM—big area additive manufacturing. The planes used to take over two to three years to manufacture, and Lockheed Martin's goal is to get it down to three weeks. The F35 jet is more than fifty feet long, has a wingspan of thirty-five feet, and weighs (when empty) some twelve tons. "Cars, ships, harvesters, earth-moving equipment, and other complex machines can be produced this way," D'Aveni notes. Using the BAAM system, a factory can be in a small warehouse which would be quick to set up, and easy to disassemble and move if needed. You could literally print an air force just-in-time, as needed, with implications for military strategy that are enormous. At the other end of the size scale, there are an estimated 35 million Americans who suffer hearing loss. The Swiss hearing aid manufacturer, Phonak, now produces the first customised hearing aids using additive manufacturing. Using this new, streamlined technique, an audiologist can create a digital ear impression using a 3D scanner equipped with lasers, to produce a customised hearing aid within a day. By 2015 more than fifteen million customised hearing aids had been produced by 3D printers worldwide. Stryker Orthopaedics has produced some of the most important breakthroughs in orthopaedic implants, many manufactured by using 3D printers. In 2016, Stryker invested over $400 million building a new AM printing facility to make even better implants. It is also developing small, specially programmed 3D printers that will create a custom implant right on the premises, while the surgeon and the patient wait to receive it, saving time and money. In 2014 at the International Manufacturing Technology Show in Chicago, Local Motors Strati exhibited the world's first 3D-printed car. It was a small 2 seater with a chassis and body made of carbon-fibre-reinforced plastic. It took about 40 hours to fully print, and consists of 50 individual parts, compared to the 30,000 parts in a traditionally built car. "We currently take it for granted that cars are complicated and expensive. When you're driving the Strati, it's easy to imagine a day when we take it for granted that they're not," the author reports. There are many reasons to believe that this technology will be one of the most important business developments of our time. These include the obvious implications that AM-based platforms will enable companies to manage complex and diverse operations, by creating giant industrial networks that link and control hundreds of business processes. This will result in unprecedented efficiencies and opportunities to create businesses with levels of flexibility, diversification, and size that are unheard of today. This book presents solid arguments that give Professor D'Aveni "every reason to believe that the pan-industrials will come to dominate the global economy within the next two or three decades, driving unprecedented changes with an impact that will extend far beyond the world of manufacturing." This book should be required reading for the many businesses that will be directly affected. Ian Mann consults internationally on strategy and implementation, and is the author of "Strategy That Works" and "Executive Update". Views expressed are his own.